In this issue Empire interviews Dj Boof, who was interviewed by Genene Brown, and talks about how he likes to SHUT IT DOWN where ever he is present. Not only does Dj Boof grace the cover but so does the lovely Shay Molly. Read about how he music turns up the body temperature. 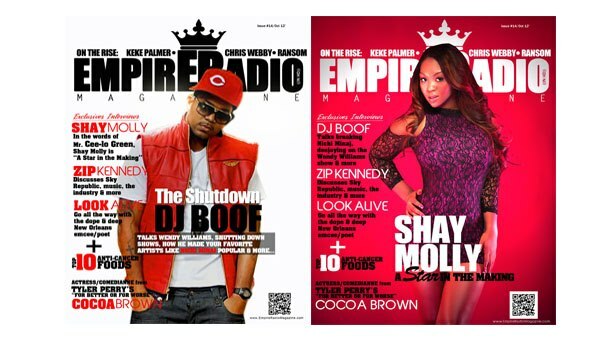 Empire Radio Magazine is an online urban magazine whose goal is to give exposure to up and and coming artist. As well as work with the best in the game. The tag line is "Think Globally and not Locally". Empire Works with people from all over the globe, why limit yourself to just one country?